Fast rising Gospel music minister BarriSTAR with a new worship song "Who Wan Curse". This is a re-fix of a Song that was recorded in 2011 in Baristar's maiden album "Identity". Communicates the confidence of the blessing and the separation from the curse. A song for the street and for the church. Inspirational, rich in sound and soul suiting. 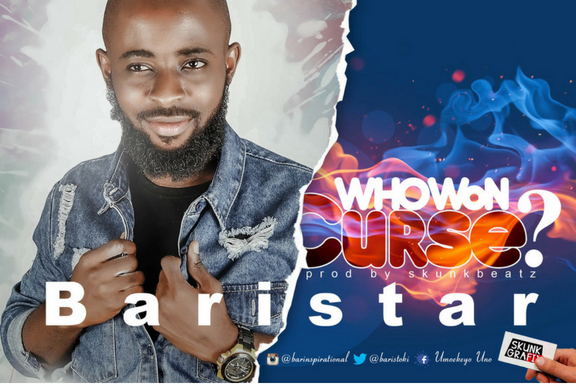 BARISTAR (Bold And Rare Inspirational Star) is an Rnb, Soul and Urban Contemporary gospel singer, songwriter, artist development expert and music entrepreneur whose music is aimed at inspiring others to a live built on Faith,Hope and Love. With 2 Albums "Identity" in 2011 and "dentity +2" in 2013, he has the history of making music that encourages and inspires his listeners to a life lived on purpose and impact. His Songs like Na you, Aniewo, Jesus gat Swag, Eledumare have received nominations and have also enjoyed airplay in radio stations in calabar, uyo, ph and lagos and other cities across Nigeria.